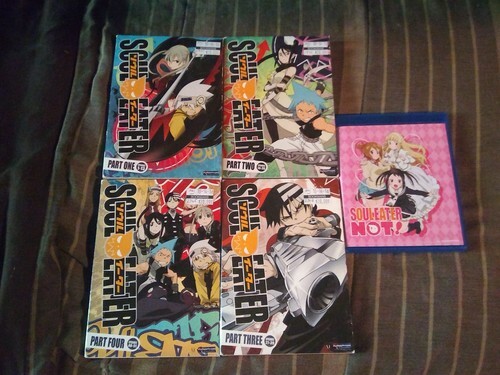 Soul Eater Soul Eater Not! DVD/Blu луч, рэй Box Set Collection. I bought my Soul Eater DVD Box Sets at Bookman's store for $20 each. And my Soul Eater Not! DVD/Blu луч, рэй Collection for $29.99. HD Wallpaper and background images in the Soul Eater (Пожиратель душ) club tagged: soul eater not! dvd blu ray box set collection.